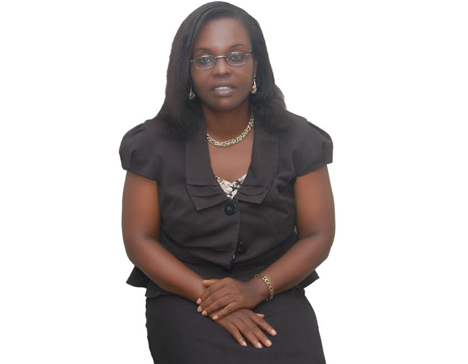 Mrs. Ngozi Musa is a lawyer engaged in private practice in the law firm of N. Musa & Co., Ikeja – Lagos. Ngozi Musa attended the University of Nigeria, Enugu Campus where she obtained an LL.B (Honours) in 1987 and was called to the Nigerian Bar in 1988 with a Masters Degree in Maritime and Commercial Law from the Lagos State University. Ngozi Musa got born again in 1982 and through the years, has been actively involved with the Christian Union (CU) Bulletin Group (the Bulletin group was the activity group of the fellowship that wrote and distributed tracts on the campus). She also participated in the Prison Visitation Ministry, an outreach group to the Enugu Prisons, where she ministered to the female inmates. In 1988/89, during her National Youth Service in the old Ondo State, comprising the present Ondo and Ekiti States, she was the leader of the Nigeria Christian Corpers’ Fellowship (NCCF) in Ado Ekiti. She organised the Corpers’ Fellowship in the town in conjunction with fellow Christian corpers where fellowships and outreaches were held. While serving, she trained as a Child Evangelist with the Children Evangelism Ministry (CEM). She has ever since then been reaching out to children and teenagers through teaching children in Sunday school in the local church and organizing neighbourhood Bible club. Although not a full time missionary, Mrs. Musa has been engaged in Missions work since 1991. As a member of Calvary Ministries (CAPRO) Nigeria, Kaduna Chapter in 1991 – 1992, she visited and encouraged the missionaries on the mission field. She participated in a work camp at Kauna, CAPRO’s Hausa School of Missions in Southern Kaduna State. At that time, the Kauna Camp was a Discipleship Training Centre. The work camp entailed physically putting up a building. As Missions and Evangelism director of her local church, Victoria Fellowship Church, Lekki – Lagos from 2011 to 2013, Ngozi Musa, in conjunction with members of the Mission and Evangelism directorate, managed the Church Missions Directorate, organizing medical outreaches in a CAPRO Mission field in Agouna, Benin Republic and in poor neighbourhoods in Lekki, Lagos, Nigeria. The Lagos outreaches were in conjunction with the Christian Medical and Dental Association (CMDA), Lagos University Teaching Hospital (LUTH) Chapter. Currently she serves as the Worship Director of her church, the Victoria Fellowship Church (VFC). Outside her local church, Ngozi Musa is involved in other Christian Ministry. She is the Secretary of the Board of Trustees of Young Disciples International (YDI). YDI is a non-denominational Christian ministry involved, since 1996, in reaching teenagers and young people for Christ. In 2013, Ngozi Musa and her prayer partner, Mrs. Pat Idowu and some close associates registered a non-governmental organization, Heritage Counseling Initiative (HCI). The mission of HCI is to reach out to children from the earliest age possible. Ngozi Musa is a member and the Legal Adviser of Scripture Union Nigeria (Ikeja) Area – in Lagos. Ngozi Musa is married to Amos Musa, a chartered accountant and they are blessed with four children.